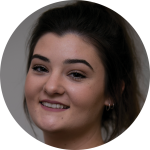 Taylah is studying for her Bachelor of Arts degree (double major in criminology and sociology) at the University of Melbourne. She has been invited to apply for the Charlie Perkins Scholarship and a Rhodes Scholarship for Cambridge or Oxford Universities. “They helped me get through high school, apply to uni, organise accommodation and a cadetship and scholarships to help pay for my fees. Mariah completed her Certificate III in Business with the Department of Justice. She now works there full time as a Community Corrections Officer. 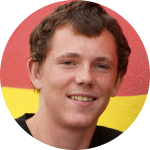 “Ganbina pretty much saved my life. If I hadn’t got involved with them as a teenager, I would have been going down the wrong path entirely. They gave me the courage and support to realise my potential. Blade is studying for his Certificate III in Sport & Recreation and his Victorian Certificate of Applied Learning at the Academy of Sport, Health & Education. “I would love to become a PE teacher when I complete my studies. It would be great to work with kids in the community that I live in. 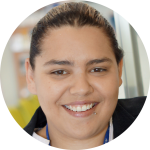 “I have really enjoyed the work placement programs I have done so far in schools, helping to manage after school care programs and providing one on one support to Indigenous students.